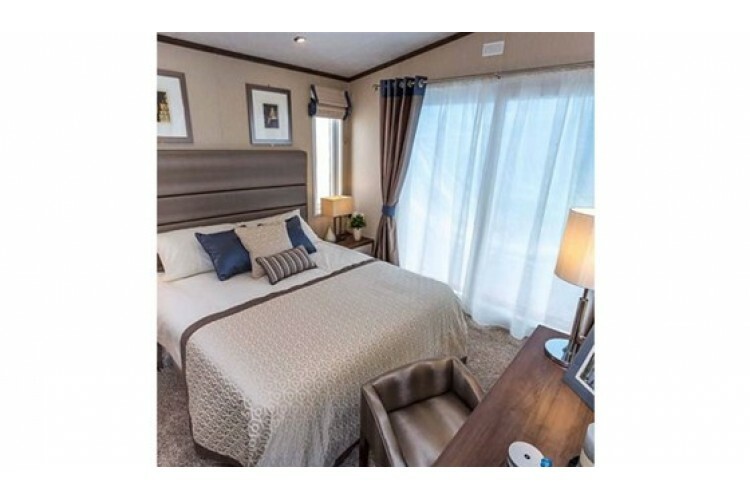 An Ex Show Home this luxury holiday home is the Pemberton Park Lane and it is a fabulous home sited on a ten or twelve month plot, This fantastic holiday home is residential spec, and has many factory upgrades. 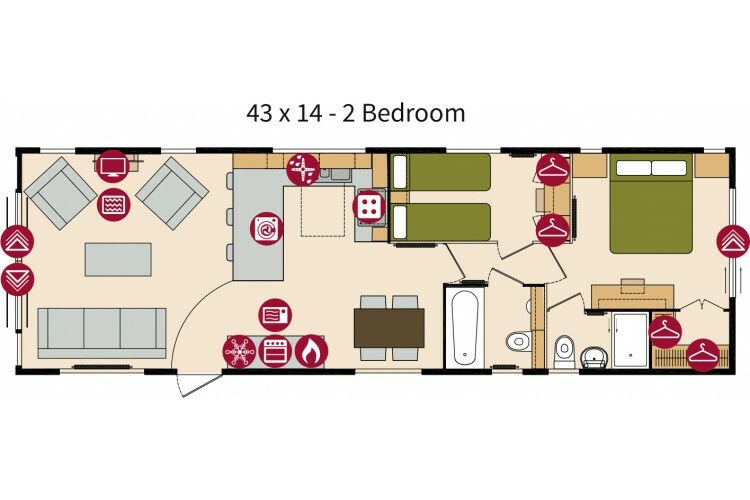 This unit will come as a turn key price including large brand new decking and driveway, Sited on a 12 Month Holiday Plot in a great position. 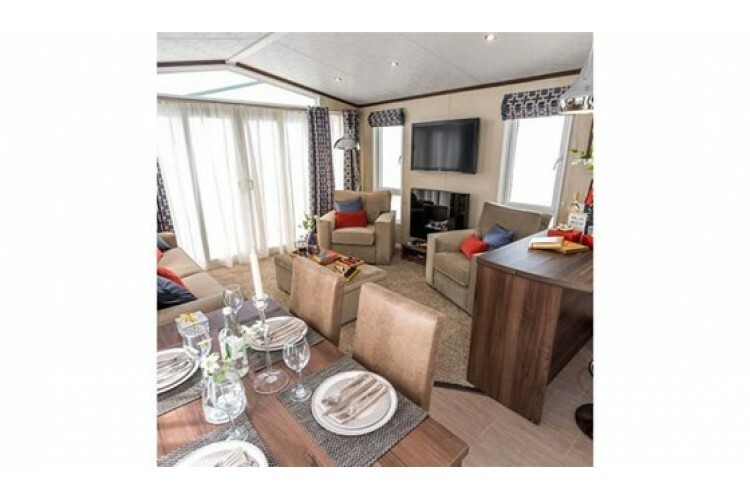 The unit is 43ft x 14 a fantastic luxury size, it has a bathroom and separate en suite shower room. 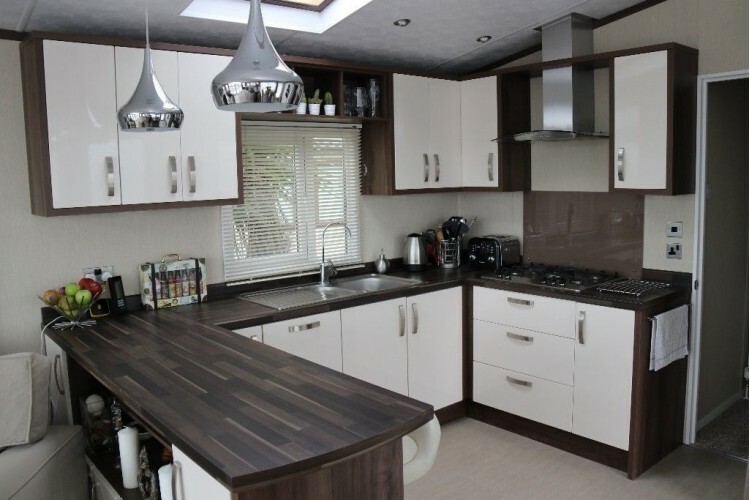 This unit also benifits from having a built in dishwasher, utility room, and the home is fully clad in Canexel for the more contemporary modern finish. 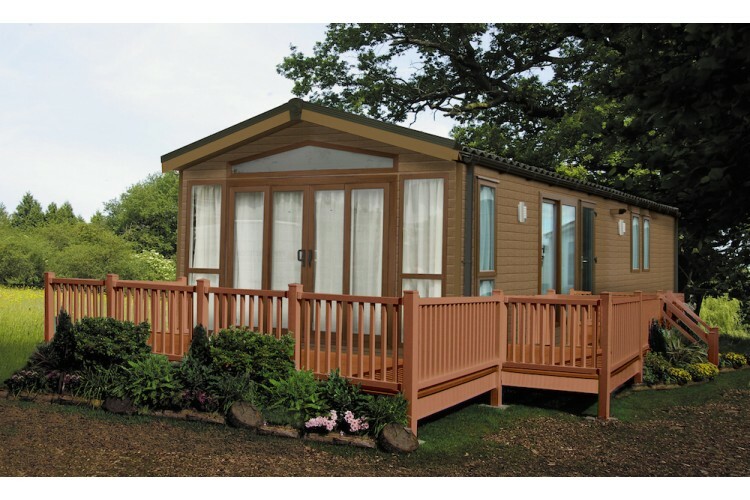 This Holiday home comes with Decking and drive as a turn key price sited on a 12 Month Holiday Plot. This gorgeous contemporary model has flair and sophistication in abundance with its dark, rich colours and retro-styled furniture. With lots of seating, including the breakfast bar, this really is the home for a social gathering with friends and family. The Park Lane model retains all of its redeeming features such as the large open plan living area with bright U shaped kitchen, the utility/storage room complete with washer/dryer and the master bedroom with a large walk-in wardrobe. In the lounge the cobalt and coral colour scheme is complemented by the rich wood effect and the velvet sofa and chairs. With curtains and voiles to all lounge windows privacy need never be a concern. Two striking chrome pendant lights draw the eye to the smart breakfast bar with cream faux leather barstools. The comprehensive kitchen specification includes integrated appliances, a 5 burner gas hob, recessed lighting and a roof skylight. The glamorous master bedroom is a mixture of iridescent textures and muted colours, calm and crisp. Hanging space is plentiful in the walk-in wardrobe and the generous dressing table could easily double up as a desk if required. Additional features to the bathroom include a fully integrated toilet and recessed sink and a star dust effect aquaboard which lightens the space. A leader, never a follower, the Park Lane is a real showstopper. Much thought has gone into finishing touches such as interior doors, high quality lighting, plush carpeting and designer fabrics. 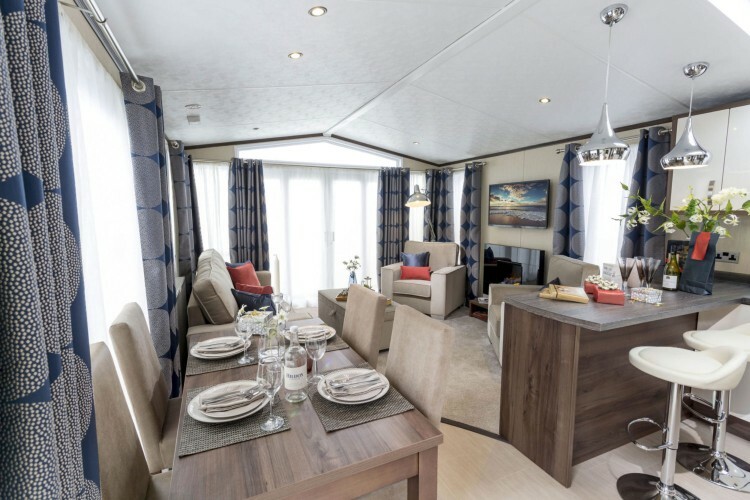 Everything you would expect from a Pemberton leisure home.